The purpose of writing a press release is to tell the world about something newsworthy and important, such as a new product, service or some other item that your company or your company's client is trying to promote. While working toward this goal, why not help that press release perform double duty for your company? You can ensure that your press release is heavily distributed by ranking high in news search engines. Accomplishing this takes a little time to make sure the press release is keyword-rich and has links back to your company's site. All it takes is a few easy steps. 1- When you know what your subject is and who the target audience is, take the time to research what keywords are important and relevant to that subject/audience. Related link at: https://adwords.google.com. OnFast has both a built-in keyword meter tool and a list of the top 100 keywords for each industry we support, but you can also use the adwords tool as well. 2- I have found that if you write a good, informative press release that has compelling content pertaining to the subject, the keywords will already be there. You may still have to tweak it a little later, but make sure you are using keywords as you write. It is very important that keywords are present in your headings and add them as you are writing in strategic places. Also have keywords in links back to you or your client's site. 3- Check to make sure your keywords are present at the proper density level. Levels of about 10-15% are usually best. 4- Within the overall press release, make sure that the first 250 words are the most keyword-rich part of your document. 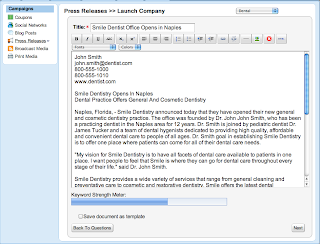 You can make your press releases become a powerful marketing tool for your company or your clients. More traffic will will come your way and your company's brand awareness will rise. 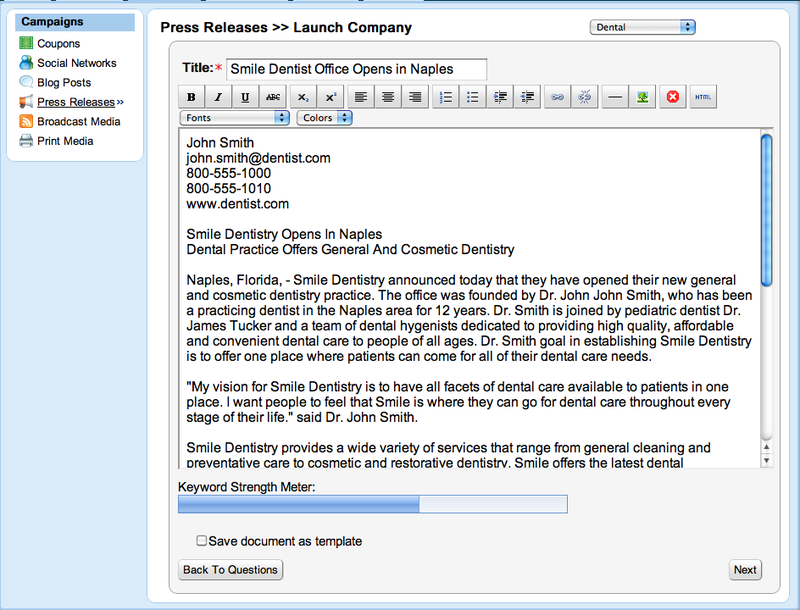 Take the time to optimize your press releases and you will see real results.